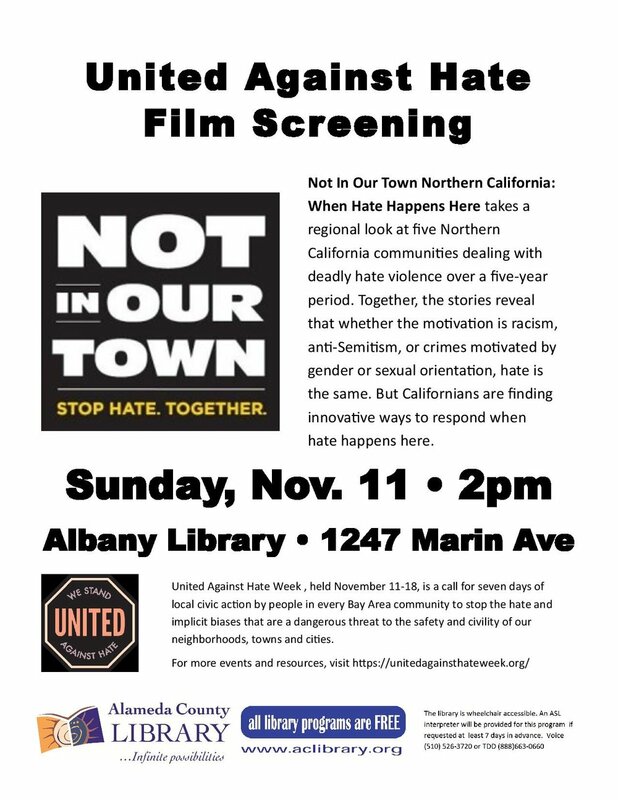 Join us at the Albany library for a film screening of “Not In Our Town Northern California: When Hate Happens Here.” This film takes a regional look at five Northern California communities dealing with deadly hate violence over a five-year period. Together, the stories reveal that whether the motivation is racism, anti-Semitism, or crimes motivated by gender or sexual orientation, hate is the same. But Californians are finding innovative ways to respond when hate happens here.